I've got a special treat for you guys today! Do you guys remember when I briefly mentioned the ladies of Open Door Shop, Leslie & Marion, in my Southern C Summit recap? I promised you a post on their stylishly modern online shop and I'm finally delivering! You know I love finding and sharing new home stores with you all, but today's post is made even sweeter because Leslie & Marion are giving you guys 20% off until Sunday, with the code PH20 to get some amazing home items! 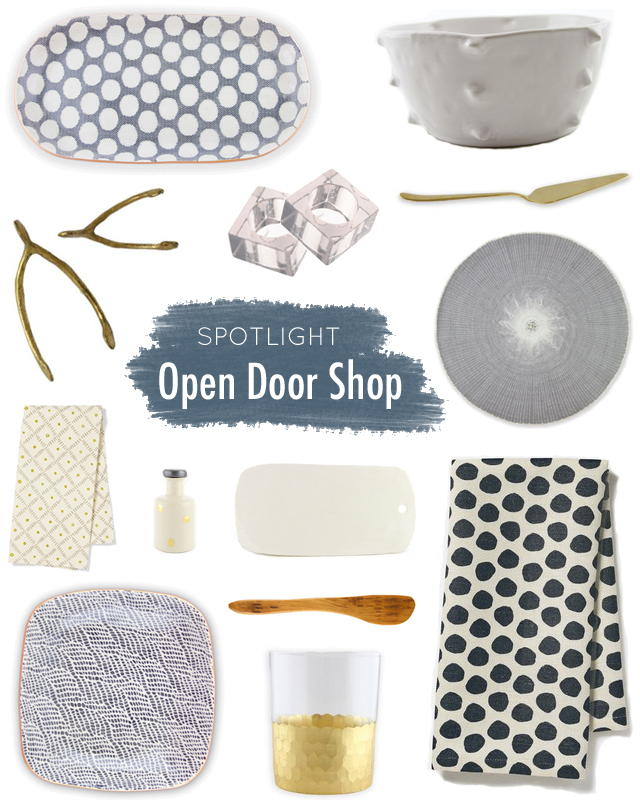 The shop is curated for those of us that want something modern & practical, but still crave a little femininity. The items have the right amount of color and pattern and are perfectly sculptural (that ceramic bowl has hints of Kelly Wearstler, no?). Really, in a nutshell, this is where the cool girls shop. I can promise you, it'll be hard NOT to find something you like in their shop. But just to give you guys a taste of what you'll see on their site, I've come up with this roundup of my absolute favorite items. Nothing like a discount code to start your Wednesday, right? Happy shopping! !